Despite the similarities in habit and appearance to the popular tomato vine, you won’t find tomatillos growing in too many backyard vegetable gardens. This unusual plant is rare in the home garden, but the fruits are popular in salsas and many other ethnic recipes. 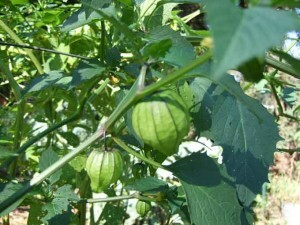 Tomatillos are also known as Toma Verde or husk tomatoes. The name husk tomato refers to the papery shell that covers the small cherry tomato sized fruit and splits open as the tomatillos mature and ripen. With a quick glance a tomatillo plant could easily be mistaken for a tomato vine. There are several different varieties including; Purple de Milpa, Green Husk Tomatillo, Dr. Wych’s Yellow, Verde, and the Purple Tomatillo. The purple tomatillo fruits are ornamental and slightly sweeter in flavor. 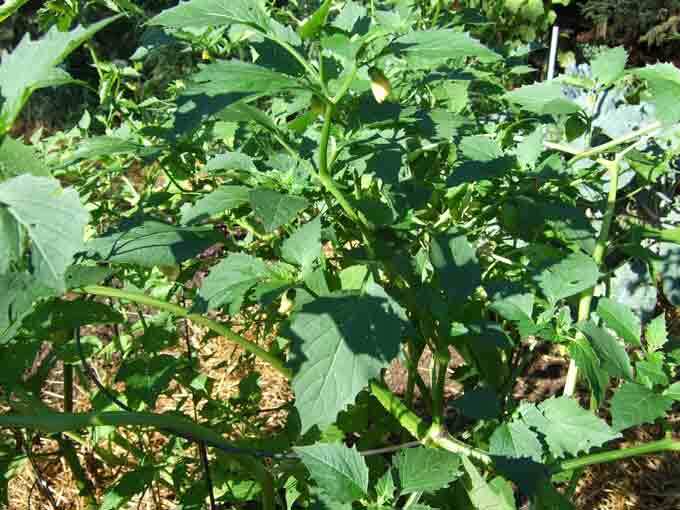 Tomatillos are raised in the same manner as you would grow tomatoes. At least I think they are… my one attempt at growing tomatillos a couple of years ago was not exactly a success. The plants grew well and looked healthy but for some reason failed to produce a single fruit. The strange thing was that the plants did have flowers and small papery husks, but no tomatillos. If I had to speculate on a reason for the failure to bear fruit I would assume that the soil was too high in nitrogen; encouraging vegetative growth rather than fruit production. For Northern gardeners it appears that if you can raise tomatoes in your garden, you should also be able to grow and harvest a crop of tomatillos. Start the seed indoors and transplant them out into the garden using the same techniques and timing as with your tomato transplants. You can also use a layer of plastic mulch to raise soil temperatures in the tomatillo bed throughout the growing season. If your season is extremely short select a variety such as the Purple Tomatillo that has a shorter time to maturity and is listed at 60 – 90 days. So for those of us that have yet to harvest a ripe tomatillo, it sounds like there’s still hope and that it would be worth the effort. It’s probably too late for me to plant tomatillo seeds this season, but I think they will be on my list of additions to next year’s garden. 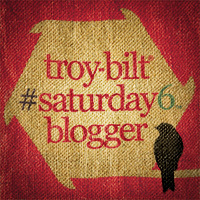 This post has been submitted as part of the Weekend Herb Blogging Project for the week of June 10, 2007. If there are other tomatillo experiences, recipe ideas, or tips for growing tomatillos in the home garden, feel free to chime in. My husband (who buys just about any interesting seed packet he sees) planted tomatillos in the most inhospitable corner of our West Chester garden 3 years ago. Now we have tomatillos that self-seed and bear from July through October/November each year. We use them in salsa, as thickeners in soups, and even raw on vegetable trays (they taste like mild green apples when raw). Their husks seem to protect them from frost and spoiling once picked. I don’t know why they flourish here, but they seem to love Chester County. Here in SW Idaho (desert region) I tend to transplant (they come up volunteer) them along the edges of the garden where the sprinklers and soaker hoses don’t hit). Also, cutting them back after they bloom will send them into a production frenzy. It is worth noting that tomatillos are just like weeds in that they grow well where your average dandelion or thistle would flourish. I have grown tomatillos successfully here in Salt Lake, although I don’t have any growing right now. I’m intrigued by the mention of the purple tomatillo and will try to remember that for next year! I do love the flavor, and think they’re especially good in salsa, soups, and stews. Those empty husks will fill up eventually – I live in Maine and had to wait until almost frost for them to fill out last year. I canned about 6 jars of green salsa – yum! Question: Do you cage them (tomatillos) as you would a tomato, or let them grow as they wish? Thanks. Laura, I would cage tomatillos just like a tomato plant. This is my first time growing tomatillos. Just picked my first 4 of them about 5 min ago. I was looking for a recipe to use them in that wasn’t salsa, they grew way to easy. I found this on a website, does anyone know if it is true? 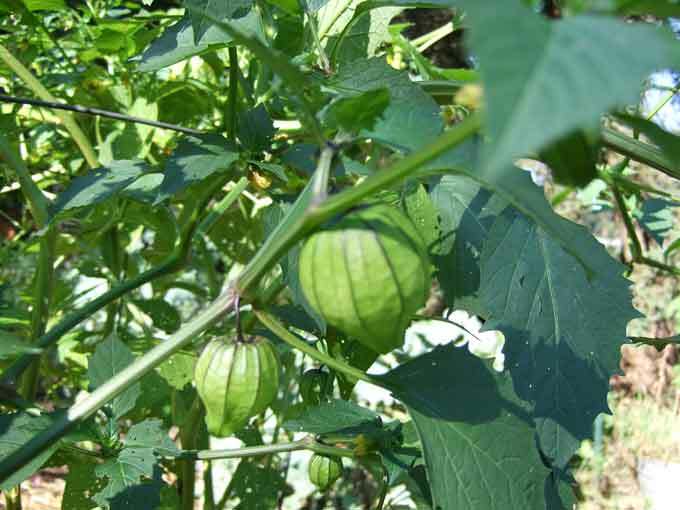 You do need more than one plant to get tomatillos to bear fruit. I live in Zone 5, and have tomatillos going absolutely wild in my garden. I have 2 tomatillo plants growing. One is sprawling real wide and the other plant is over 5 feet. Lots o fruit on them so I will wait to see what happens. This is the first time growing them. They were on clearance and didn’t look like they would make it. So I thought I would give it a try. Several years ago I planted a couple tomatillo plants and had a huge amount (no real idea what to do with them…). this year I decided to do it again, so I bought ONE…, when it was about 4ft tall and lots of blossoms and bees and NO fruit, I looked up growing and much to my dismay, discovered you need at least TWO!!!! I went on a mad search and found two more, unfortunately the only place left in the garden was on the shady side of my 4ft tomatillo… I got 5 tomatillos to set, then the new plants started climbing to the sun, and shortly caught up… but still, lots of flowers, bees and no more fruit… Also my peppers were flowering with very little fruit. My tomatoes had set fruit early but seemed to be slow in setting anymore. I started reading more and came to the conclusion my feeding program (steer manure, epsom salt and miracle grow) was to high in nitrogen. should I cage my tomatillo plants now even though they are quite large already? Will they produce just as well if I dont cage them?? Hi Rachel, your tomatillo plants will produce well even without caging. At this stage it may be difficult to cage the plants but you could use stakes or a tomato trellis to help provide some support. The reason they aren’t fruiting is that they are self-sterile. 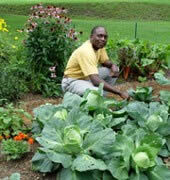 You need to plant at least two (preferably 3) to produce fruit. I’m listening to Daria and hoping she is right. We live in Ireland and I have three fine (purple) tomatillo plants outside, growing with the outdoor tomoato plants. They are flowering well and are producing a lovely husk but no fruit so far. So I hope patience will bring us late fruit. I guess we are far north and low temperature. So looking forward to cooking with them! I need help to positively identify if what has came up in my garden (I didnt plant) are tomatillos. They look like the pictures I have seen but no description I have found states if they have thorns or not. These plants are comming up all in my garden and even in my yard. They have a yellow flower and are producing a husk covered fruit. I pulled one of the husks to see what was inside and it was a green berry with white seeds. I have been pulling them up and mowing over the ones in my yard. I have seen this plant once before and it was growing wild behind my parents barn. If they are truly tomatillos and not some clone poisioness plant I wanna keep it. BTW I live in Southeast Texas. Thanks in advance for any help. My (currently 2) plants, bought at a spring plant sale this year, do NOT show any thorns. I had tomatillos a couple of times in the past, they never showed any thorns. 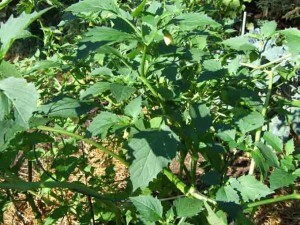 Btw, the plants have a peculiar scent, sort of a mix of potato and tomato, when you brush against the leaves. 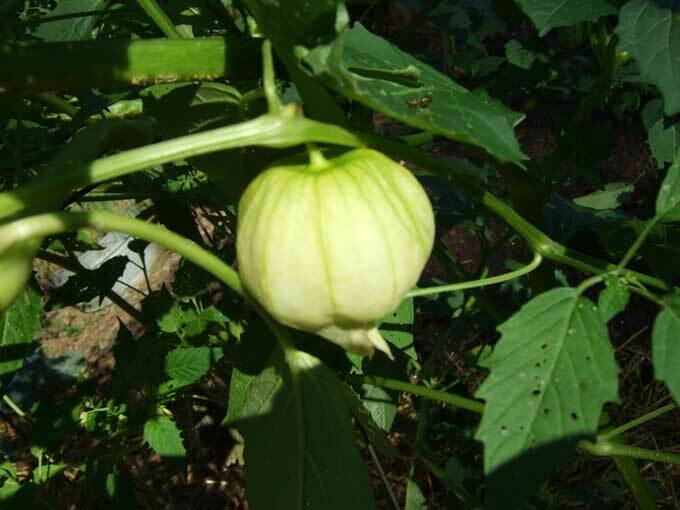 As an aside, the “real” tomatillo has a very characteristic shape: a strong, very straigth stem/trunk at the bottom, up from the root, then a 2-way forki, two-sided branch and another fork to result in a 4-way pattern of branches. m some are large tomato sized with nohusk firm and nice tastingothers are tiny, marble sized with a husk thet have fallen off the vine, the pictures i have seen are inbetween this, middle sized, almost filling the drying splitting husk, sticky, do i have some sort of crossed tomato tomatillo hybred thing? what can a person do with handfulls of tnny hard sticky green balls of tomatillo? I planted tomatillas several years ago and every year since then have had tons of volunteer plants. I weed a bunch out but let some grow too. We live in Northern MN in a zone 3/ zone 2 area. I harvested bunches of them yesterday – way more than I can use in salsa and am trying to figure what else to do with them. I am also curious about there nutritional value. 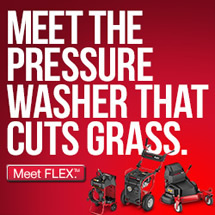 I noticed this site. Have read through the comments. So I am going to fill in some blanks. I bought some ground cherry seed from Gurneys once. I planted them one year and got some fruit as I call them. The following year I tilled the garden where they were. After that I got a small patch growing. I thought it was from seed getting tilled in. From my observation the following year after I transplanted some root stock and made sure no fruits were left on the ground. I can definitely say these plants will in fact grow from root stock as well as seed; in much the same way as a potato will. I have proven this by digging up a plant that came up in the same spot as the year before. It didn’t really surprise me, but I found a root at least 1 inch in diameter and several inches parallel with the ground. I only wish regular tomato’s would behave like that. If any of you are curious I am in zone 5 in northern Utah and even with recent below freezing winter the plants still came up. I am now going to try doing the same thing with the large “real” husk tomato variety. I may just end up making a dedicated perennial patch for them. My suggestion is if you want them to multiply separate some root cuttings with leafy stalks and leave the roots alone when winter kills of the foliage. Since many plants are perennial in nature you are only limited by your growing season length compared to starting indoors. I make up a cooked sauce and freeze it in 2 quart bags. Toss a couple of chicken thighs in a saute pan and simmer with the sauce for about two hours. Best easy meal imaginable. Yes, they will. Someone mentioned that they grow in zone 5, which has winter temperatures down to -23°C. Bremen and Hamburg are in zone 7, which is warmer than zone 5.